Order all your products for violin care and maintenance right here! Here you can browse through a variety of products for violin care and maintenance. 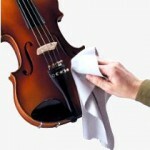 Peg drops, violin humidifier, cleaning cloths, cleaning kits, violin care kits, string cleaner, polish kits. We sell such brand names as Players Products, Jim Dunlop, Pirastro, Glaesel, Arcos, Paganini, Super Sensitive, Pro Tec, Shar, Trophy Humidifiers and more. We hope you have enjoyed your visit to the ‘Fiddle CDs’ section of FiddleMusic.com. Please browse our other pages where you can find even more including fiddle gift ideas, fiddles, fiddle sheet music, fake books, CDs, DVDs, instruction and learning tools… even fiddlers!